How can you prepare for the clocks going forward this spring? As we finally move from winter to spring, the inevitable changing of the clocks appears on the horizon. On the 31st March 2019, the clocks will “spring forward” by one hour. This can be a good thing for those of us who enjoy long, light evenings, but does the impact of British Summer Time (BST) run deeper than simply tweaking the clock? We’re going to take a closer look at just how much British Summer Time can influence our health and wellbeing, as well as exploring the origins of this phenomenon, and why it’s necessary. BST, or Daylight Saving Time (DST), refers to the period from spring to October when the clocks are set one hour later, resulting in lighter evenings. Despite being a staple of the annual calendar, BST is actually a fairly recent phenomenon. In fact, daylight saving was not proposed until 1895, in the wake of the Industrial Revolution. Prior to this time, people generally worked during the light and slept during the dark, but the UK was one of the first nations to introduce standardised time. This was largely due to the rise of rail travel and the introduction of “London time” (GMT) by the Great Western Railway in 1840. It was another 55 years before BST was mooted publicly by UK-born New Zealander George Vernon Hudson. Hudson was a Post Office shift worker and a part-time entomologist. He enjoyed studying insects in his spare time and wished for longer daylight hours in which to collect them. His passion ran so deep that in 1895 he presented a paper proposing a two-hour daylight-saving shift to the Wellington Philosophical Society. A similar story to that of George Hudson can be told of English builder William Willett. Willett was a keen golfer, and while out riding early one morning he noticed that many of the blinds in nearby window were still closed, despite the bright sun. He believed that this extra hour of light could be put to better use, and so published a pamphlet in 1907 entitled “The Waste of Daylight”. This proposed moving the clocks forward during the summer months. The idea was debated by Parliament in 1908, and Willett continued to fight for his idea until his death in 1915. However, it was the First World War which must surely be considered the main reason behind the introduction of BST. Germany and Austria-Hungary were the first countries to officially employ DST in April 1916 as a way of saving energy and resources during wartime. The UK was quick to follow, and the Summer Time Act was introduced soon after, advancing the clocks forward by one hour from 21st May until 1st October. The system proved popular enough to be kept on even after the end of the war, though it did have its critics (and still does). This was unusual, as most other countries which had adopted the system abandoned it during peacetime. However, the arrival of World War Two in 1939 saw it brought back, and the energy crisis of the 1970s saw its widespread re-adoption across Europe and North America. The UK’s relationship with BST wasn’t quite as simple as that, however, and there has been some to-ing and fro-ing on the subject of changing the clocks. For example, in autumn 1940 the clocks were left forward as an energy-saving measure, but will still brought forward by another hour in spring 1941. This led to the introduction of British Double Summer Time (BDST), which briefly returned following an energy crisis in 1947. Then, in 1968, the UK tested the theory of staying in Daylight Saving Time the whole year round, mainly for commercial reasons. This proved to be an unpopular decision, particularly in areas where the mornings were especially dark, and so BST as we know it returned in autumn 1971 and has been in place since. How do the changing clocks impact your health? BST is praised as an effective means of saving energy and improving our health by allowing more hours after the working day to enjoy sports and leisure activities. It’s also intended to cut back on road traffic accidents and crime by reducing the evening hours of darkness, and aid commerce. However, the scheme is not without its critics. 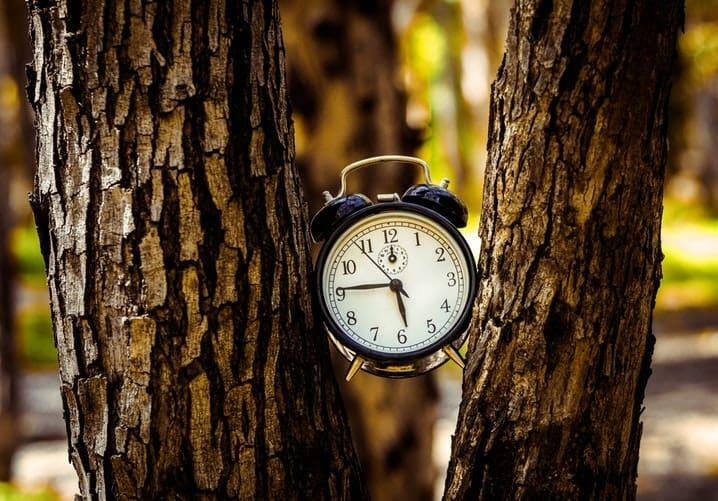 The risk of heart attacks is reported to rise in the weeks immediately following the onset of BST, and many studies have found that the number of accidents in the workplace increases during the initial weeks of daylight saving. What’s more, the number of traffic accidents also increases by as much as 11% in the weeks after the clocks going forward. One of the main complaints from critics of the BST system is that it causes unnecessary confusion, especially when it comes to travel and technology. Of course, one of the most significant ways BST impacts us personally is via our sleeping patterns. When we change the time, whether forward or backwards, we are essentially changing our natural 24-hour cycle. This can result in consequences for our internal clocks, or circadian rhythms. Losing just one hour of sleep may seem insignificant on the surface, but it can in fact make us more susceptible to sleep deprivation and lethargy, meaning BST can be difficult to adjust to. We are at our most vulnerable in the first few weeks following the change of clocks, as – having become reacquainted with waking up in light – we now find ourselves waking up to dark mornings again. However, the persistence of light later on the day has been shown to improve our energy levels during the late afternoon and evening, meaning we feel less inclined to rush home and hunker down for the night. This makes us more likely to engage in exercise, running or walks, which can help us feel more tired come bedtime. The best way to make the arrival of BST feel like a gradual change, rather than a shock to the system, is to start preparing early. In the two or three nights prior to the change, try moving your bedtime forward by around 30 minutes. This should help ensure that you are in bed and genuinely tired an hour earlier on the Saturday night of the switch, meaning you won’t lose out on sleep. You should also try to wake up early on the Saturday and engage in some physical activity, so you’re more likely to feel tired. On the Sunday, make the effort to get up at your usual time and get out into the daylight, as this will help to increase your energy levels. For families, there is the added concern of how to ensure that BST doesn’t impact your children’s night’s sleep, as well as your own. This is a simple case of following the same pattern with them, getting them to bed half an hour early on the nights prior to the switch, and then an hour earlier of the Saturday night. It’s a good idea to help your kids avoid the use of screens for at least an hour before bed, as bright screens like phones and tablets can inhibit our release of melatonin – our body’s natural sleep hormone. Following the change to BST, many parents will be faced with the prospect of sending their children to bed while it’s still light outside. Investing in a high-quality set of blackout blinds is the best way to tackle this effectively. With these measures in place, you can make the most of the extra hours of evening daylight without feeling the impact on your health in a negative way. A Mammoth mattress can help you rest easy at any time of year, whatever the weather. Click here to find your nearest retailer and test drive a Mammoth for yourself today. This entry was posted in Expert Advice, News, Sleep Science and tagged british summer time, bst, bst and health, clocks and health, clocks changing, daylight saving time, DST, sleep and clocks change, spring clocks changing, spring forward, spring sleep.